Some dense synth layers which float like tears of violins among the rustles of angelic choruses open the very ethereal "Another Day". The sonic envelope is quite impressive for a so short track. She is tied to a philharmonic approach which inhales the influences of Bernd Kistenmacher's last opuses. By the way, what jumps in ears with this comeback album from Embrase is this meticulous musical scenery by Marc Bras. “Another Day, Another World” comes 8 years after Dreamworld. 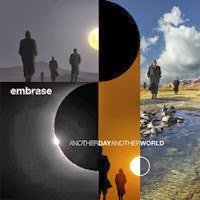 To make history short; Embrase is the Dutch synthesist Marc Bras who had seduced the electronic world in 2005 with a first album (Dreamworld) which, according to what I read here and there, was strongly influenced by Tangerine Dream of the 80's. Eight years later Marc Bras delivers to us a strong album where the rhythms, which evolve constantly inside their minutes, are superbly coated by synths among which the charming solos, rather lyrical I have to say, unveil some nice electronic harmonies which harmonize their charms within sighs of violins, choirs with some dense seraphic veils and ethereal mists. With its 15 tracks scattered among nearly 80 minutes, “Another Day, Another World” offers a great electronic sonic parade with very contemporary rhythms which are immersed in approaches as ambient as ethereal. "After Eight Years" gets a grip at this seraphic intro with a harmonious approach of which the first morphic veils float as in "Another Day". The rhythm is slow, mesmerizing, with fine tribal percussions and where the heavenly choirs hum an evasive melody and unite their singings to the tears of synths and to their violin layers which blow among strongly lyrical solos. We always stay in the soft comfort of the ambient rhythms with "Daydreaming" whose intro reminds me of Leftfield and their Africa single. The rhythm is softer on the other hand with a structure of floating down-tempo where the synth gets dressed of breaths of trumpets as much sensual as nostalgic. After an introductory structure which is also inspired by the sweetnesses of "Daydreaming", "Touch" shakes a little bit the meditative ambiences of this Embrase's last album with good percussions which set ablaze a rhythm delicately jerked. A rhythm always wrapped up by synth pads which this time are as much twitchy than the harmonies of these choirs which submerge of pastel heat the ambiences and the electronic rhythms of “Another Day, Another World”. These harmonies are always tinted with these heavenly choirs of which the empty singings get lost in the iridescent fogs of a synth which subdivides its moods with good nasal solos. That goes down very well. "Change your Mind" embraces a synth-pop structure with very nervous sequenced arpeggios of which the harmonies skip in the hubbubs of percussions. We dive in the 80's with this rhythm which merges synth-pop and very accessible world music on harmonies which are divided between sequences, celestial singings and solos of a synth which multiplies its nasal breaths like airs of snuffly trumpets. A synth which spreads breaths of panpipes, as well as very musical solos, on the contemplative, although livened up by a delicate paradisiacal mood, "Time". Dreamer and lonely, "After the Rain Comes the Sun" is a very good electronic ballad, just like the very beautiful "Another World" and its delicate rhythmic gallop deafens by scattered rotations of percussions, and of which the delicate structures of rhythm are decorated with soft pensive airs. "3.33 AM" opens the 2nd part of “Another Day, Another World” as "Another Day" had begun it. A 2nd part clearly more livened up where the influences of the electronic rhythms by Robert Schroeder and Tangerine Dream overheat the loudspeakers. After a very floating intro, "Moving Silence" borrows a structure of rhythm of which the soft oscillations are harpooned by the roars of percussions. The synths are pleasant and coo some airs of jazz a bit lonely in dense shrouds of electronic mist. And the comparison with Robert Schroeder is very tangible, especially with the very funky approach of "Inspiration", while the curt and nervous rhythm, encircled by a delicately stroboscopic line of jumping keys, of "Amazing" reminds me rather of Tangerine Dream from the Miramar years, just like the lively "Back to Normal" and its good synth solos, as well as the very rhythmical "Another Day, Another World" which leans a little more on Jerome Froese's kind of techno-electro music. But no matter the rhythmic influences, Marc Bras' harmonious envelope is resolutely his with synthesized harmonies which are constantly harmonized with the ethereal choruses. "Where Does it End" assuages the overheated ambiences of the second portion of “Another Day, Another World” with a beautiful lunar ballad where the synth layers cry in a cosmos flooded by dusts of stars and their seraphic singings. Forged in rhythms as noisy as the mellifluously pensive atmospheres, “Another Day, Another World” travels through the various phases of a more contemporary EM. Here is the very beautiful album that will please undoubtedly to fans of electronic rhythms. But its main strength is not these rhythms, although they are very lively. It's rather these appealing ethereal harmonies which melt into some suave synth solos. Calling back these years when synths were more weavers of dreamy solos than the cold and calculated harmonies, as those whom we find exactly in these contemporary rhythms. If you like the Robert Schroeder's 2nd wave, as well as the Miramar and TDI years of Tangerine Dream, “Another Day, Another World” will undoubtedly be well in your ears. It fits rather well in mines. Hollow winds awaken an organic fauna as well as some delicate tom-toms which pound on the discreet circular rhythm of "Ancestral Star Chart". Lonely chords are roaming there. They form a shy melody which dances in dense and morphic cosmic veils while other chords hammered in a false xylophone decorate an ambient rhythm which coils up comfortably in the hollow of the ear. Wrapped up in an intense sonic dryad and embroidered into structures of rhythms of which the discretion feed the ambiguities and where we just cannot ignore Steve Roach's influences, "Ancestral Star Chart" breathes all the contrasts of an EM which tries as much to seduce than to introduce a musical quest out of the ordinary. Discreet rhythms, but always very present, in ambiences sculptured in the esotericism are the privilege of Alpha Wave Movement's last work. “Celestial Chronicles” inhales all the serenity of its name. Behind every piece of music, of which the last seconds leave an imprint of amazement, Gregory Kyryluk weaves ambient rhythms which are submerged by an intense cosmic painting where the stars burst of their twinkling singings, spreading musical tears which melt themselves into spiritual approaches to make cry the winds. And "Ancestral Star Chart" is a soft introduction to this fragility of the contrasts which lie down on an impressive pallet of musical landscapes where the eclecticism and the esotericism sing on the same harmonies. The discovery of this other pleasant surprise of Alpha Wave Movement continues with the very ethereal intro of "When We Roamed the Stars". There where cries a very musical synth within a symphony of stars dusts. A rhythm arises from this sonic abundance under a shape of a spiral of which the ascending curves tie up their jumping keys to some sober percussion. The metronomic beatings, soft as harmonious pulsations, accelerate a rhythmic which always remains a prisoner of a dense electronic pattern where the tears of synths abound in the iridescent mists and those fragments of stars and their twinkling dawn serenades. The winds of Orion smother the final, like they blow on the very ambiospherical introduction of "The Tender Sea of Space". The ambient music expires the melancholic sighs of Vangelis in his futuristic visions while that the soft movement of sequences reminds the one that Richard Pinhas exploited in his wonderful East/West (Ruitor). The fusion of these two genres in this interstellar sonic palette irradiated by thousand tones is rather crunchy. 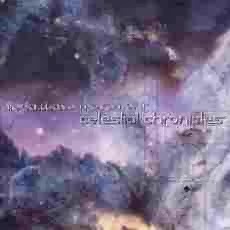 "Radiosonic Temple of Harmonic Sound" is the most impressive and lively track of “Celestial Chronicles”. And yet, its slow contemplative introduction, where the sitar and the Steiner EVI of Mark Steiner tune their sound prayers, calls up to the meditation. Sinuous synth curves draw the intriguing drones which liven up a superb hypnotic rhythm where our ears have difficulty in kissing all the subtleties of sequences and percussions. The rhythm is clanic, with Middle East fragrances, and embraces a kind of soft ambient down-tempo with a structure which hiccups smoothly in the Arabian breezes of the Steiner Electronic Valve Instrument. It's very good and the ear hooks on the very first listening. "Genesis of a Super Nova" offers a somber lunar lullaby with a fine movement of sequences of which the ritornello of the chords from a kind of cosmic harp floats in astral choruses, rivers of harmonious prisms and in breezes of ether. Still there, it's very beautiful, magnetizing. I would say even very striking with those slow floating synth layers which cry and kiss these muffled knockings which divide carefully the morphic rhythms from the cosmic moods of “Celestial Chronicles”. How beautiful it is! "Stellar Mantra" is closer of the Hindus divinities with a slow rhythm, very transic, where the sitar scatters its weeping notes on the back of fine tribal percussions of which the delicate tom-toms calm our torments as much as the fascinating monasterial choir. And as for each of the tracks on “Celestial Chronicles”, the rhythm evolves with a subtle velocity in the pace without ever overflow beyond its hypnotic Mantric shroud. "Final Transmission" is the last connection between cosmos and our spirit of “Celestial Chronicles”. It's a track which is as much ambient than somber. And it is very dark with its long movements of drones which cross a very abstract soundscape where prisms shine and gradually form a chain of rhythm of which the keys hop and hiccup finely in thick synth clouds and their electronic radio activities to be cut out to the chisel. Fine arpeggios emerge from nowhere, so decorating a finale which reminds fortunately that we can take back our lost senses in the floating harmonies of "Ancestral Star Chart". The more I dig into Gregory Kyryluk's universe, the more I discover an artist among whom the value and the talent remain still too much underestimated in the very big sphere of EM. A little as Steve Roach, Robert Rich and Jeffrey Koepper, the American synthesist does his small affair without making too much noise. Remaining very discreet in his native Massachussetts, he has created his own label (Harmonic Resonances) and produces a delicious EM which passes too often under the radar. I just hope that “Celestial Chronicles” doesn’t undergo the same path. As beautiful as good, it's an album to be discovered. Moreover if there is an artist whom you should discover in 2014, I strongly recommend Alpha Wave Movement. The first time that my ears have kissed embraced the fascinating and the meditative ambient universe of Alio Die was with Deconsecrated And Pure (PRO270) in 2012. The adventure had left with me a bit uncertain with those contemplative musical structures where the music was created from winds and drones from which the ancient tonalities lifted up dusts of rattlers and other percussions to stony tones. Except that “Amidst the Circling Spires” leads us to another level. A very meditative level where the very beautiful elvish voice of Sylvi Alli embellishes the hoarse breaths of the drones and the lugubrious ambiences of a sonic universe molded on the artefacts of a more acoustic EM. The union of both contrasts becomes then all the charm of this last album from the Italian sonic painter. And the universe of Alio Die is always ambient, always floating. At the limit of the contemplative New Age. The drones which rise at the introduction of "The Inner Sea (Silver Sea)" take a tint as much translucent as the delicate breezes of synths and of their breaths which make sing some twinkling particles. One would believe to hear lamentations of the solar gods on a sonic pattern which reminds some Buddhist prayers while that, so mysterious, the voice of Sylvi Alli blows a suave poetry which is murmured by the breezes of her voice. The fusion of the synths to her voice offers a rather moving sonic show which adds a veil of serenity to some very esoteric titles such as "Dreaming Tree" and its ballet of percussions which sound like an old musical box or still the very peaceful "Numinous Veins" and its symphony of hollow breaths. Her voice, which is as much mesmerizing as that of Alquimia, is also very celestial on "Crepuscular Birds" which presents a slow structure quite as meditative but where the long and sinuous drone lamentations add a dramatic dimension to a sound panorama decorated by tinkling sounds. We commune with ourselves and we doze off on "La Grotta Delle Naiadi" which plunges us literally into the gaps of a grotto where, isolated, the listener is captive of his thoughts. The atmospheres of contemplative prayers are dense and to cut with a knife in this soundscape pattern where the water oozes among thick clouds of synth layers of which the hollow breaths let filter a bright ray of voice. Less dark, "Across a Splendid Vista" is just as much intrusive with its slender synth lines where sing flutes and drones as much musical that immersive. At this stage, we sleep! But we have to persist and to hang on to our meditative thoughts in order to listen to the very beautiful and delicate "Revenir". The morphic voice of Sylvi Alli is simply heavenly. Together with the delicate jerked synth pads, she floats to let slide her pensive prayers in the hollow of our ears. And we hear these muted pulsations beat, like in "Across a Splendid Vista", pulsing like a circadian poetry so that to put us in sleep mode and better guide us towards the sleep. The life is stressful? We have the impression that the whole world wants our skin and even our bones? Well I would tell you that “Amidst the Circling Spires” is the ideal remedy to calm this soft temporary paranoia. This subtle battle between the opalescent voice of Sylvi Alli and the hoarse, sibylline breaths of synths and drones of Alio Die is the heart of an unreal beauty where everything inhales tranquillity and even in the moments more disturbing as in "La Grotta Delle Naiadi". There is something rather unique in the music of Alluste. The Italian synthman likes exploiting movements of sequences with very harmonious rhythmic figures where the rhythms, as ambient as dreamy, split themselves in order to start other lines of rhythms among which the soft rebel movements which overlap and intertwine are coloring an ambient electronic rhythmic approach in perpetual movement. “Stelliferous Era” is Piero Monachello's 7th album who pursues the sonic road begun with his strong Boards of Stringana by presenting this pattern of melodic sequences of which the lead rhythmic threads are as much morphic than melancholic. After an ambiospherical intro, with delicious rattlers which ring in the eddies of cosmic waters, "Star Dance" begins its delicate rhythmic ride such as a lonely cowboy who criss-crosses from his eyes his lost horizons. Holding onto a line of bass pulsations and shelling its small pebbles of rhythm, which skip in all directions, "Star Dance" gallops finely in the mists of Orion and of its ethereal voices. Circular and more harmonious than the ghost harmonies of the synths, the movement remains ambient while offering fine variances which at times intensify a spheroidal approach of which the only violence is to swirl more sharply. These ambient rhythms which float and nearly sing melodies are the strength of “Stelliferous Era” which, at some points, sounds so much like a Brainwork opus. The music is very beautiful and flows like torrents harmonized by quiet furrows. We also find the same harmonious spheroidal pattern on the very beautiful "Bright Stars" and its harmonies which are more forged in synths singers and foggy, as well as on the very dreamy and ambient "Spiral Evolution" and its sequences in tones of glasses which try to awaken ambiences weaved very tight and where the cosmos breathes at full nose. The conclusion of "Spiral Evolution" in particular is simply wonderful. "Source of Life" shows a more threatening opening with black pulsations which skip in the nasal pads of a synth and its sinister harmonies. 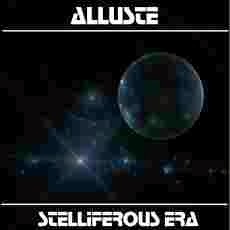 Gradually, the movement covers itself with a warmer veil while the ambient rhythm gets loose in order to offer these subtle rhythmic variances which are the charms of “Stelliferous Era”. Among them is a more contemplative passage with a keyboard which weaves a melody of which the solitary harmonies are hammered by melancholy and dream on an ambient structure whose gallop of sequences jostles some keys pressed to skip with more enthusiasm. Surprise, "Winds of Terror" is not so terrifying with its delicate chords pinched from which the tones awaken memories of a certain Vangelis and of his very nostalgic approaches. The melody is soft and dreamy. She sings in those granular mists and flows on a discreet rotatory movement of sequences. Little by little, and always softly, these sequences accelerate the pace; plunging "Winds of Terror" into a rhythmic whirlwind whose velocity is increased by winds became more violent. These melodies which pop out of nowhere in order to embellish these sequenced hypnotic movements are legion in “Stelliferous Era”. While she is singing in "Winds of Terror", another line of rhythm gets grafted. More harmonious, it divides as much the harmonies as a rhythm which swirls with more vigour and of which the spheroidal movements climb the mountains of mist from a synth always so discreet. You love this move? 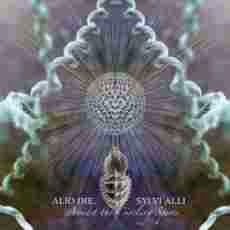 There are plenty over the 80 minutes that last Alluste's last album. These sequences forgeur harmonious rhythms are putting to sleep our contemplativity on "Quark Stars". The rhythm is ambient with keys of sequencer which dip the tip of their rhythmic momentum like one dips the end of our toe on an ice-cold pond of water. Skipping with fear, the sequences interact between them with fine transformations in their tones, which pass of bass to crystal clear, creating a painting of harmonious rhythm of which the lead lines offer subtle patterns of rhythms underlying which wriggle in the shadows of a synth with its hummings as dark as absent. The finale and its sequences which hiccup into some silvery mists inhale the ghostly rhythms of Tangerine Dream. Moreover, the influences of the Dream can also be felt on "Cosmic Gate", a title where the synths are clearly more melodious. They weave harmonies which coo like solos of nightingales on a more dynamic spheroidal structure with sequences which punch a more incisive, more jerked pace. This is some great New Berlin School with delicate fragrances of TD, in particular with these sequences which refuse to fall asleep in the last mists of ether. These mists of ether also feed the intro of "Electric Star". They finally end to be diluted into some morphic voices by a delicate circular movement of sequences. The hypnotic rhythm of "Electric Star" adopts the multitude of the melodic rhythms that offers Alluste all along “Stelliferous Era”; a beautiful album where the rhythms and their figures in perpetual movements dominate the synths whose discreet harmonies blow on patterns of sequences and their rhythms as much morphic than the melodies. This is a very good, a very musical EM album that I strongly recommend to those who love the New Berlin School style and its harmonic rhythms! An element of collection among TD fans, I saw it at 90$ US on eBay, “Shy People” is the last chapter with Christopher Franke in the story of Tangerine Dream. I read several posts of many TD forums that Franke's decision to leave the adventure has been strongly motivated with this phase of intense composition for music themes during this session of recording. Fact or true? Anyway, the supposedly easy adventure planned by Andrei Konchalovsky, the movie director, and Edgar Froese turned out to be a real nightmare. Himself a musician and composer of classical music, Konchalovsky established some very demanding working schedules of 16 hours a day in a context where the inspiration was lacking. In 2 months of intense work, Franke, Froese and Haslinger had composed only 84 minutes of music. At 4 days of deadline, the album was still not complete. One can imagine Edgar's head! But one day, the album had to be completed...Bad tongues are still expecting that day. And the result is far from being proportional to the effort, nor to the incurred problems. 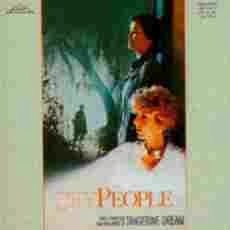 The vocal version of "Shy People" could have been able to be on Tyger, so much the melodious portion sounds like it. The floating synth pads which forge the introductory ambiences and the guitar are beautiful. The whole thing sounds a lot like the opening of Pink Floyd's Wish You Were Here. Only Edgar's guitar riffs are more mordant. The lamentations of Jacquie Virgil flow with sensitively. She has the same intonations as Jocelyn Bernadette Smith and the similarity with Tyger is too obvious not to think of it. The lack of heat and passion is also too obvious and this annoys, because it's either a poor remix of Tyger or a title botched for lack of time and of means! "Joe's Place" is a short ambiospheric piece of music which is very near the ambiences of Legend with a fluty approach and a floating synth. This is a good track which gets along well, just like "Transparent Days" and "Swamp Voices"; two tracks with smooth ethereal moods but which also sound and seem incompletes. "Harbor" is a big symphonic rock with guitar solo and trumpets harmonies à la Phil Collins. That leaves me of ice! "Nightfall" is a rather colourless piece of music built upon dull symphonic arrangements. Always, we look for passion, for depth. "Civilized Illusions" is a track which sounds quite familiar to the new musical horizons of Edgar for the next couple of years. This is just synth-pop watered of effects on a synth and a beat-box too aggressive to be attractive. But it's not that bad considering what is coming. Shall we open a debate to known what is the most horrible and stupid title of TD? I vote for "Dancing on a White Moon". According to my taste, and well I do believe that I have some, that's got to be the most worse music piece that Edgar and his henchmen had ever wrote. And yes they have written a couple of bad ones. It's empty of sense and candy pink. I cannot believe that TD has wrote and put this thing on CD. But maybe I don't know music after all because this track was chosen to be the single of “Shy People” (sic!). The musical version of the title-track ends this soundtrack with a clearly livelier and more harmonious approach, but the synths made a bad decision by blowing melancholic airs à la Wish You Were Here, synth-pop version, in the passages where Jacquie Virgil sang. How can they go from Near Dark to this? “Shy People” is another disappointing album from Tangerine Dream. But one needs to know how to put things in perspective because it's also an album which knew how to please a new generation of fans lovers of a more harmonious EM which is closer to easy listening and New Age. It's a pity that the end of a so beautiful association between Franke and Froese ends on a so false note. Although this and in spite of all the stories here and there surrounding the fracture of Franke/Tangerine Dream, it's the end of an era because the Dream is well and truly resolved to try a very financial artistic journey towards the USA and ... somewhere else! “The Dresden Performance” is the fruit of a concert given in Dresden, Poland, by a chilly evening of August in 1990, be more than 5 months after the making of Miditerranean Pads. It's good to say it because “The Dresden Performance” inhales in full musicality the atmospheres and the rhythms of this album with also some winks of eye at albums such as Angst and Dreams. It's a double album divided between the portions of the concert (Dresden 1 and 2) and studio tracks (Dresden 3, 4 and 5) which were planned for this concert that the rain has shortened after the first 2 long acts. It's also the first one of four live albums to be released at the turning of the 90's, an era where Klaus Schulze develops a so disproportionate passion that his talent for orchestral samplings and opera voices as well as the use of Musical Digital Instrument Interfaces; so called the MIDI years. Above all, if you loved Miditerranean Pads, “The Dresden Performance” should easily seduce you, especially with the very long and how much magnetizing Dresden 1 and Dresden 2. Singing “tsitt-tsitt” cymbals, sneaky percussions and a line of funky bass are hopping in the dazed envelopes of the fanciful violins. And thus "Dresden 1" is landing between our ears with this delicious mi-funky/mi-groovy approach which decorated the sensual rhythms of Miditerranean Pads. Moreover, everything of Miditerranean Pads is on "Dresden 1" and "Dresden 2". The rhythms, sometimes soft and sometimes wild, are coated by this synth weaver of deep Mellotron waves which are melting to the choruses and of their latent submission. The pace follows the lines of a slow crescendo with orchestrations which hide the arrival of the thousand knocks of percussions which labour a philharmonic structure roaming between its staccatos and its morphic lunar hold. "Dresden 1", just like "Dresden 2" is a very long music piece which exploits a brilliant play of sampled percussions. It's a creative play, a bit like in Percussion Planante, which divides a structure without splitting its main beat; so much the synths are wrapping it with their lascivious waltzes. Again this is some great Schulze who has fun in his maze of sound samples on a heavy rhythmic coloured of all sonic forms. 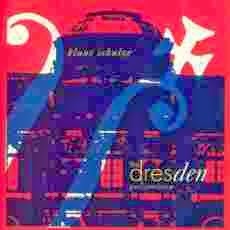 With its 47 minutes at the meter, "Dresden 2" offers a fascinating interpretation of Decent Changes. There are lengths but it remains rather attractive. First track in studio, "Dresden 3" is made of a soft sweetness with its angelic choruses which are frosted by xylophone arpeggios à la Freeze on Angst. A soft nostalgic piano adds a dimension of loneliness to this soft piece that Schulze floods in a universe of vocal samplings which are wrapped by penetrating and waltzing synth lines. A superb melody with childlike vocalizes emerges out of the intro, stuffed by a huge variegated samplings, of "Dresden 5". On this track the rhythm livens up lasciviously on a soft line of bass which is pinched sharply, like a harp, and Tabla percussions which are drummed in the waddings of a violin from which the ethereal strings wrap of mist an ambient pace which follows a linear tangent with fine snags which get us out of our auditive torpor. Except for the melody part, I found this a bit too long as a bit too slow. "Dresden 4" is totally apart with its THX intro of which the sonic wings are cut quite quickly by the harmonies of a soft piano of which the minimalists spheroidal notes are surrounded by the vocalizes of morphic mermaids. Soon the track borrows a dramatic tangent with knocks of bows coming from an illusionary string ensemble who lie down some jerked layers that Schulze controls by his samplings. The mood becomes dark and claustrophobic. I feel being catapulted in the somber ambiences of Dreams on a suspense structure with chords sometimes classic and sometimes crystal clear, like the brightness of a xylophone in a universe of intense terror. I quite enjoyed this mood of fright. All in all, this is a great and heavy music piece of which the diversified samplings are creating an incredible sonic wealth which would support marvellously a horror or suspense movie obscured even more by Machiavellian moods, in particular at around the 11th minute point. Completely delicious in the genre fright and terror. This track, as several others moreover, shows the immense creativity of Schulze; an artist who knows how to innovate and exploit different musical genres with a dexterity and an artistic vision which is the privilege of the big composers, as much classic as contemporary. I would say that “The Dresden Performance” is a good complement to Miditerranean Pads, in particular with the too good "Dresden 1". It's a good live album, although we don't even hear a fly snoring, which demonstrates the surprising diversity of an artist who is capable of rolling minutes on the same theme while adding a little something here and there which makes, unmistakably, hook the interest of his fans.